The shift in the last twenty years from an industrialised economy to a knowledge economy demands new modes of education in which individuals can effectively acquire 21st century competencies. This article builds on the findings and recommendations of a Knowledge Economy Market Development Mapping Study (KEMDMS), conducted in Queensland, Australia. The study was conducted to identify the value of design education programs from primary school through to the professional development level. 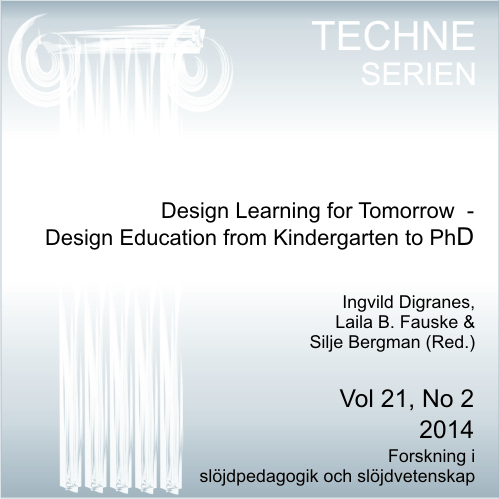 This article considers the ability of design education as a framework to deliver on the 21st century competences required for the three defining features of the creative knowledge economy – Innovation, Transdisciplinarity and Networks. This is achieved by contextualising key findings from the KEMDMS, including current design education initiatives, and outlining the current and future challenges faced. From this, this article focuses on the role of the tertiary education sector as the central actor in the creative economy in the development of generic design/design education capabilities. Through the unpacking of the study's three key observation themes for change, a holistic design education framework is proposed, and further research directions are discussed.